Water is a symbol of adapting, something that is clear in the past of Hana van Loock. The Sunshine State Conference swimmer of the week, Hana van Loock, lived in Japan until she was in high school, then she moved to Germany. Winning, it seems, is something that came naturally to van Loock. Swimming in Europe however, doesn’t reach as much of an audience as soccer does, forcing van Loock to swim in clubs, rather than on school teams. However, when looking at schools for university, she aspired to go to the States, where swimmers have a much more lucrative future. Luckily for the Spartans, Van Loocke heard about UT and immediately gained interest. 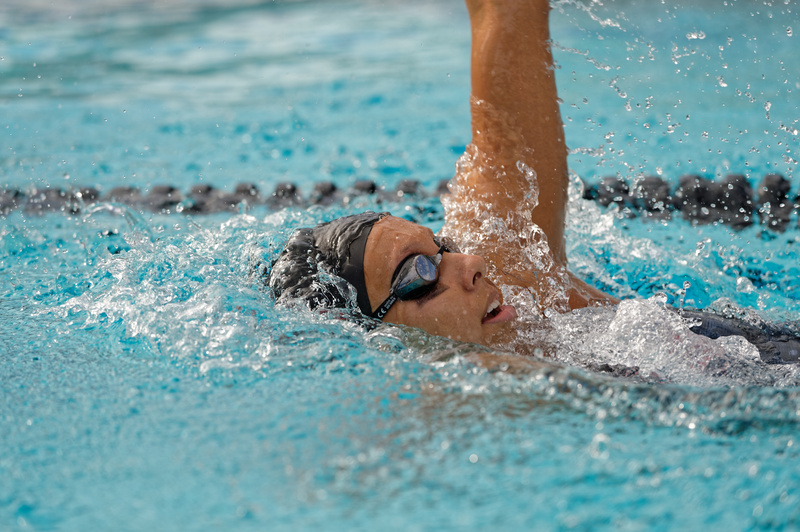 After hearing about UT’s stellar swimming program, it should come as no surprise to anyone that her final choice was joining the Spartan community. Learning swimmer verbiage wasn’t the only difficulty that van Loock faced in her transition period at UT. As she joined the women’s swim team, Van Loock quickly grew accustomed to swimming on a team and not a club. She quickly made headlines at UT, coming first in her first 200m race of the season against Rollins College on Oct. 14. Van Loocke is extremely motivated by the team’s ultimate goal of winning a conference title. She says her coaches and older teammates mention it to her frequently, and it keeps her hungry to continue succeed. Van Loock really pushes to be the best, so it was a pleasant surprise to find out that she’d been named Sunshine State Conference swimmer of the week. The title definitely hadn’t gone to waste, considering she made first, again, in the Florida Southern vs Tampa meet, in the 200m race on Oct. 27. Van Loocke loves the rewarding feeling of a successful race, knowing all the hard work that people outside of the team don’t get to see has paid off for her. “A team is a team, same as every country,” van Look said. “But people are more motivated here. We want to get better as a group, as well as an individual. Van Loock brushed off the injury casually, as if it was a hangnail, not a dislocated shoulder.After the injury, the swimmer had to focus on leg workouts, not arm workouts. Only recently, was she able to do full practice sessions for the season, with daily visits to a trainer every day. “I’m really happy that I can train normally, again,” she added. “Especially since we have a really good chance of winning conference this year. The next swim meet will be The Panther Invitational on Nov. 17 until the 19 in Melbourne, Florida.